Dental implant therapy has come a long way from when it was first introduced to the dental industry. The advancements have allowed for the implants to evolve over time and because of this, dental implants are one of the most sought out tooth replacement options. Thornton Town Center Family Dental is committed to providing you with different tooth replacement options to choose from and all our dentists take the time to provide you with the best care possible. 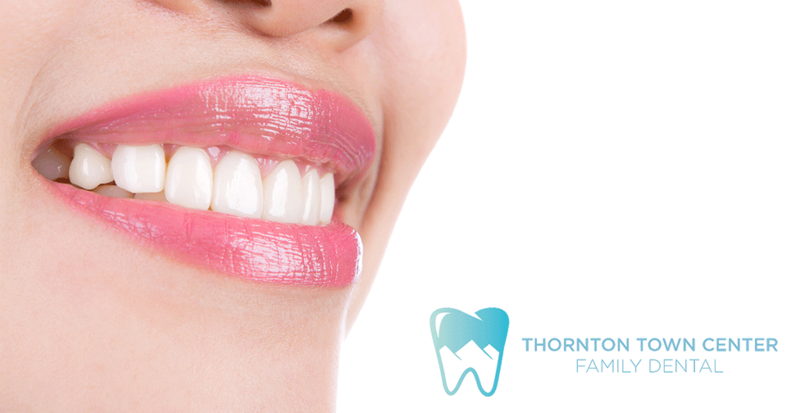 If you are interested in dental implants, now is the time to call Thornton Town Center Family Dental. Our dentists want you to know when custom abutments are needed and why they may be needed. Some patients come into our office and they have been told they need stock abutments and other custom abutments. Because of this, it can be extremely confusing. So, what is the difference? Custom abutments have completely changed the way that dental implants are placed and used. In fact, they can provide patients a better way to receive their implants too. With the many advantages, the most important of them is that a custom abutment can provide patients with better soft tissue management and the healing process during the final stages of the procedure. To better understand dental implants, you must understand the implant itself. All implants are made up of three main parts which include the piece that goes into your jaw, the abutment that is placed on that piece in your jaw, and the crown that is placed on top of the abutment. Thornton Town Center Family Dental does want to emphasize that custom abutments are not always required, and a stock option can be used, but there are many reasons as to why a patient may want a custom option. A custom abutment is beneficial in one way because the custom option can correct any issues that may be experienced with a dental implant that is not placed properly. If an implant is not properly placed, it can sit at an angle or it may be crooked. A custom abutment, once attached, will straighten out the implant. Of course, the goal is always to have well-placed implants, but some patients may not have worked with an experienced implant dentist. The dentists at Thornton Town Center Family Dental recommend that patients do have a custom abutment because paired with the new 3D crown fabrication methods, a custom option can provide the best fit and feel. Patients who have received custom abutments at Thornton Town Center Family Dental have expressed how happy they are with them and these abutments do offer a tailored and more personal fit and feel. Patients who have crooked implants or too little bone in their jaw require custom abutments as well. The team at Thornton Town Center Family Dental will work with you to determine if a stock or custom abutment is the best choice. Of course, custom options can provide a more customized feel, but they are not required. If you would like to learn more about dental implants or custom abutments, call Thornton Town Center Family Dental today to schedule an appointment and consultation.